Our readers are always seeking services for learning differences throughout Southern California. Creating Avenues of Success for Dyslexics! 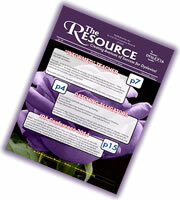 Our newsletter, The Resource, is designed as a communication vehicle. Our goal is to share information about learning differences as well as about our So. Cal. Tri-Counties Branch. Our newsletters are generally published in fall and spring. We welcome suggestions for information to include. You may send your comments and suggestions to use via email. Our readers are always interested in related services in Southern California and we welcome advertisement. Newsletters are published as Adobe Acrobat PDFs. Want to advertise your services in our newsletter? Please contact us if you wish to submit an ad or download our advertisement form.